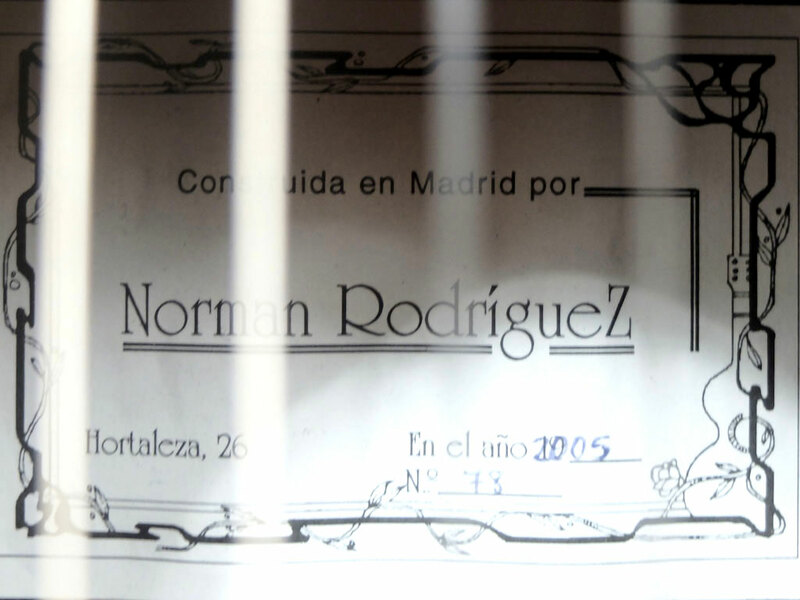 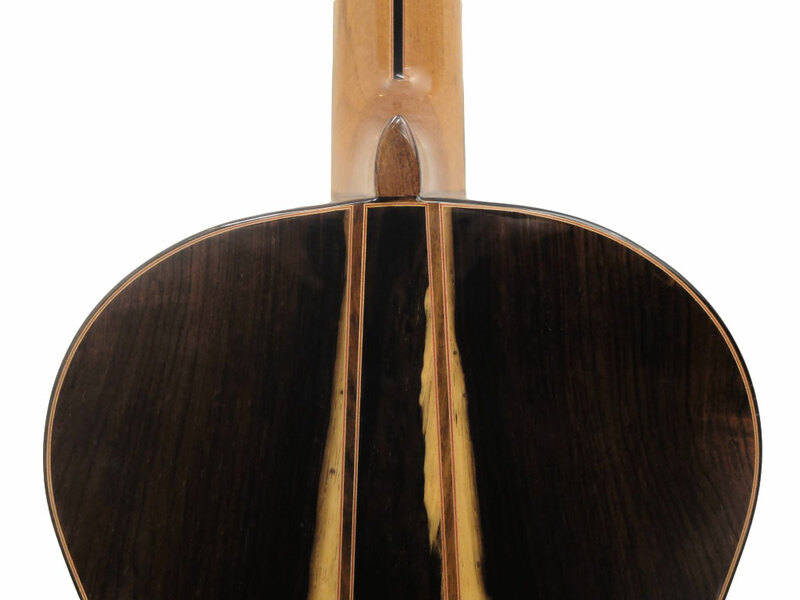 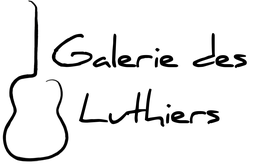 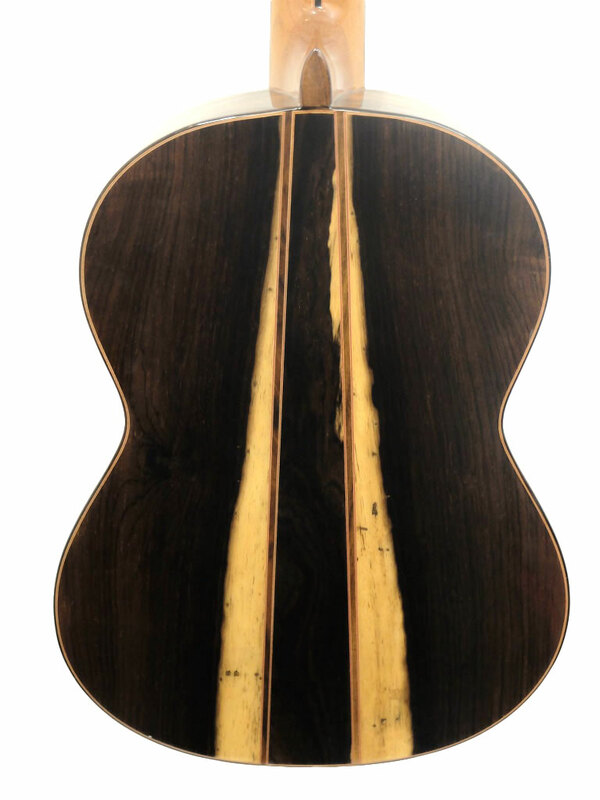 This Norman Rodríguez guitar is one of the “Signature” models handmade by the Toledo firm Manuel Rodriguez. 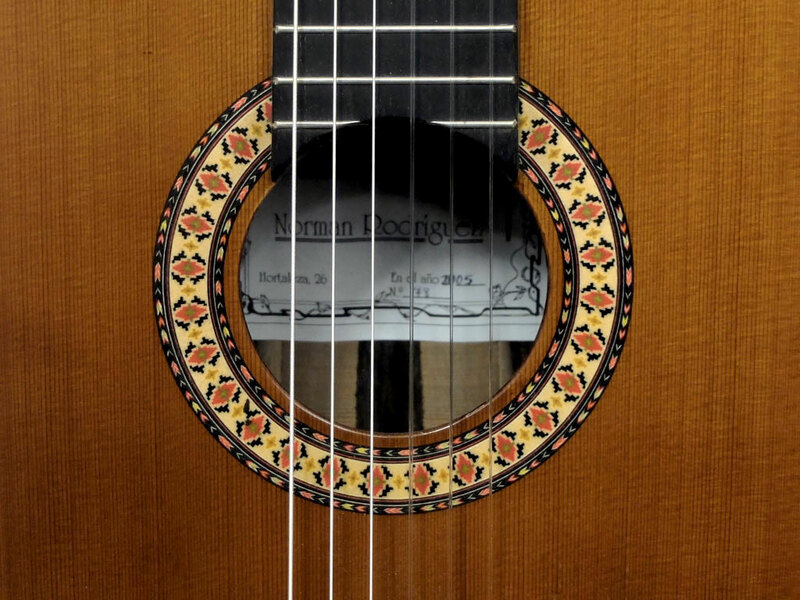 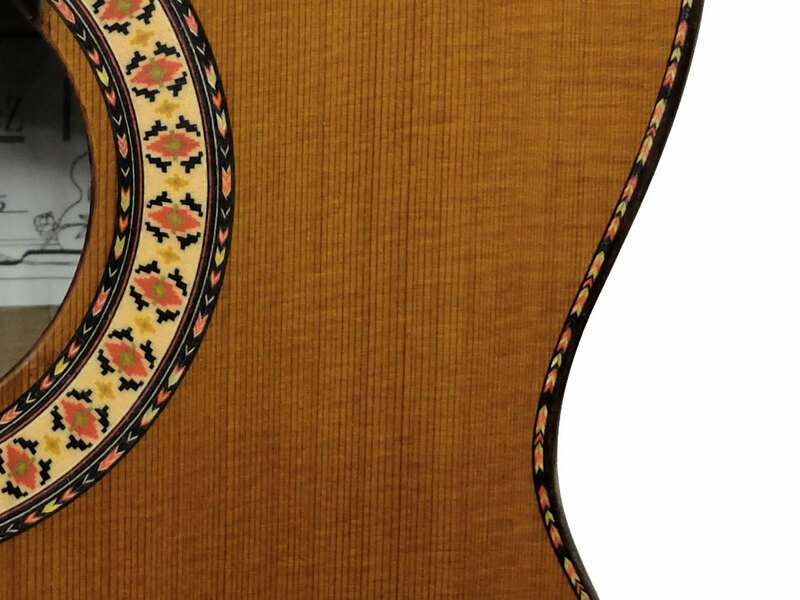 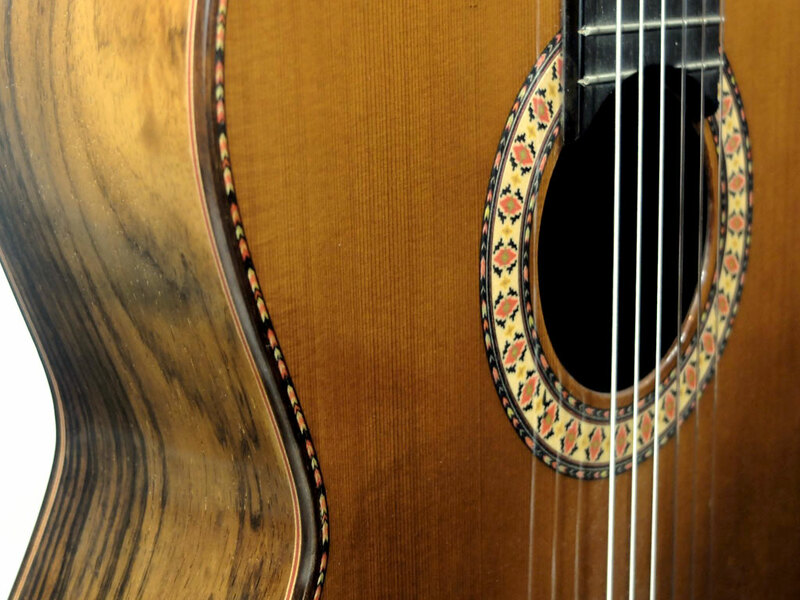 This guitar is both stunning to look at (with its lovely finishing details, brightly-coloured rosette and purfling strips) and beautiful to play and listen to (carefully selected tone woods). 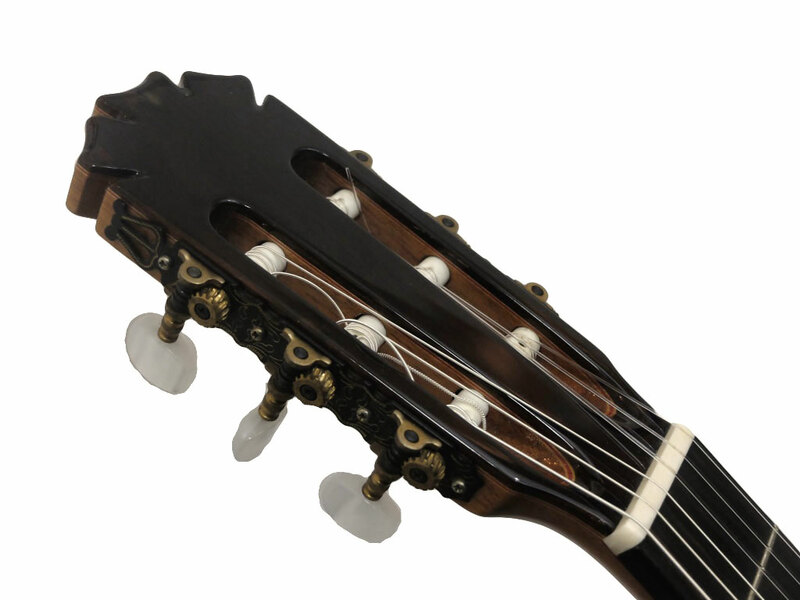 The sound has the distinctive features of the Madrid style: powerful basses and a full, rich tone that make for an expressive instrument. 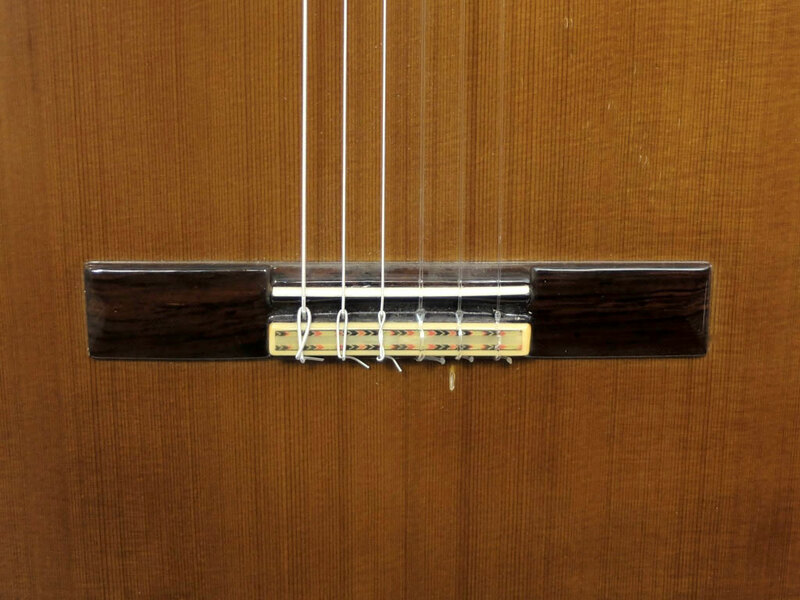 In very good condition (except for a string mark behind the bridge, visible on a picture at the level of the B string). 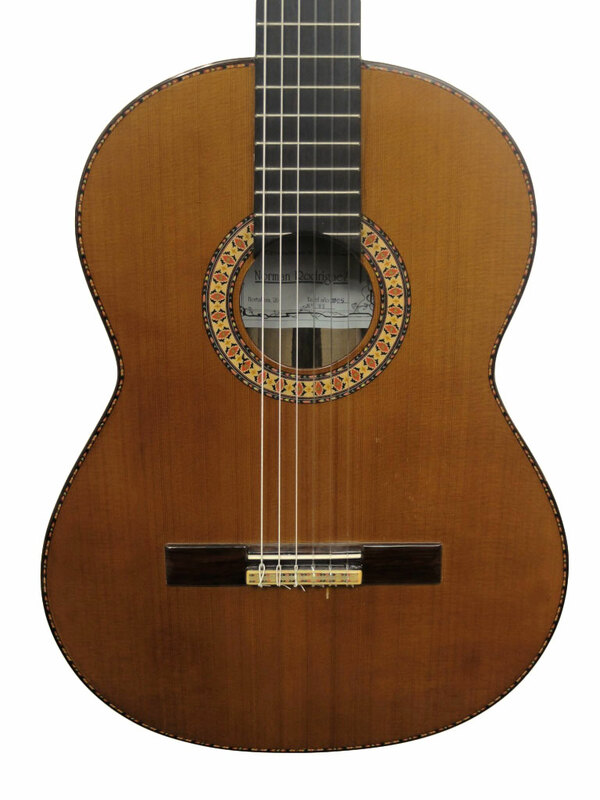 A very handsome instrument well worth its price.